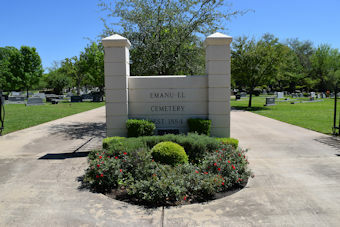 Established in 1884 in what is now Uptown Dallas, the Emanu-El Cemetery was created for the growing Jewish community in the 19th century. The gravestones indexed here are mostly the older burials and represent perhaps less than 5% of the total. The GPR holds 86 grave and 105 person records for the cemetery.